Description: Measurement Specialties KPSI Level Transducers are submersible hydrostatic level transducers specifically designed to meet the rigorous environments encountered in water level measurement and control. 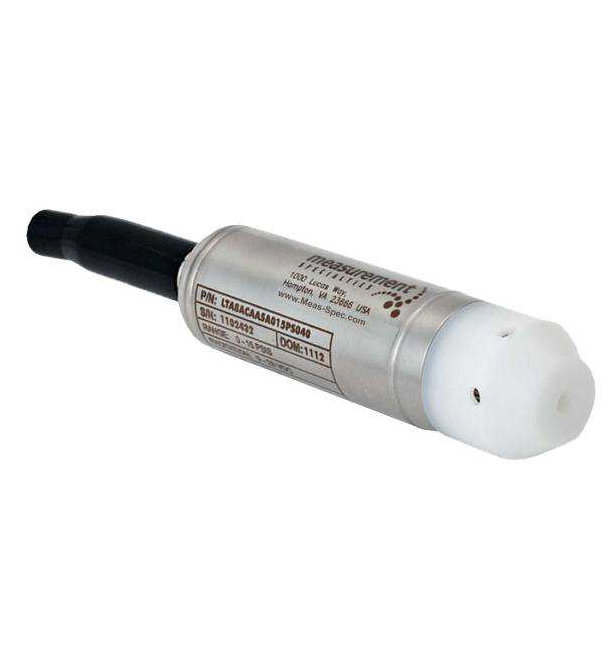 The KPSI LTA is a 0.25% FS static accuracy, 1.0″ diameter submersible hydrostatic level transducer specifically designed to meet the rigorous environments encountered in liquid level measurement and control. Measurement Specialties LT Level Transducers utilize a highly accurate pressure sensor assembly specifically designed for hostile fluids. The assembly is integrated with supporting electronics in a durable waterproof housing constructed of 316 stainless steel. The attached electrical polyurethane cable is custom manufactured and attached with an over-molding process that prevents moisture intrusion for reliable long product life. The LTA features a 1.0” body with a ported nose cap design that protects the stainless steel diaphragm from damage. Make Enquiry For Product "KPSI LTA Series Pressure Transducer"